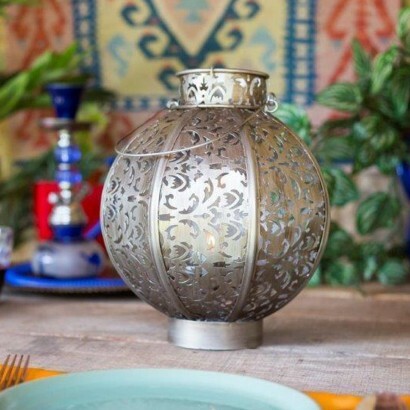 Decorate table tops and surfaces in your garden with Moroccan globe lantern candle holders for delicate warming effects. 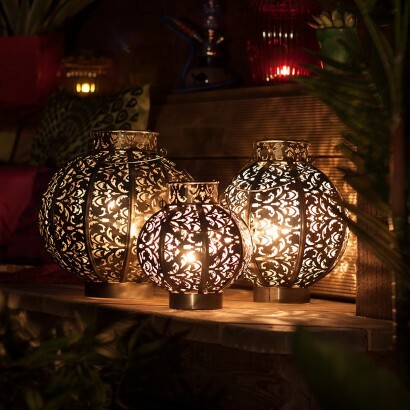 Available in two sizes, these decorative lanterns add rustic ethnic charm to your outdoor space creating a warming atmosphere with gentle flickering candle light. 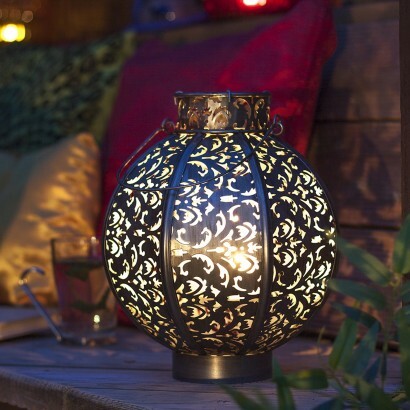 Suitable for use with a tealight candle, a glass votive jar protects the inner flame from the breeze allowing the flame to shine through the decorative cut out design for a calming atmosphere on lazy summer evenings.